Tropospheric ozone has important implications for air quality and climate change but is poorly understood at a regional and seasonal level. Analysis of model simulations indicates that downward transport of ozone from the stratosphere has a larger influence than previously thought (as much as ~50 % even near the surface). Recent estimated changes in tropospheric ozone (1980–89 to 2001–10) are generally positive, with substantial attribution from the stratosphere identified over some regions. 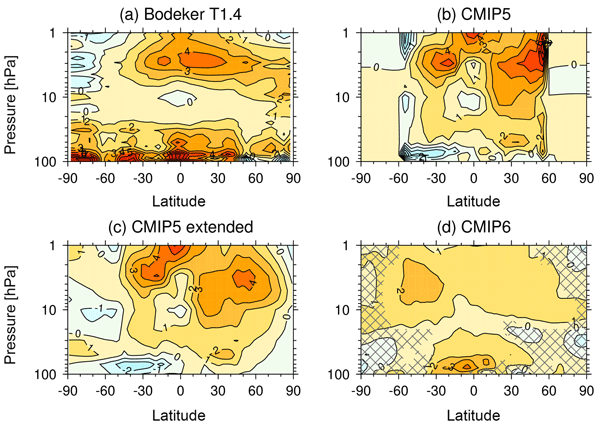 We perform the first multi-model comparison of the impact of nudged meteorology on the stratospheric residual circulation (RC) in chemistry-climate models. 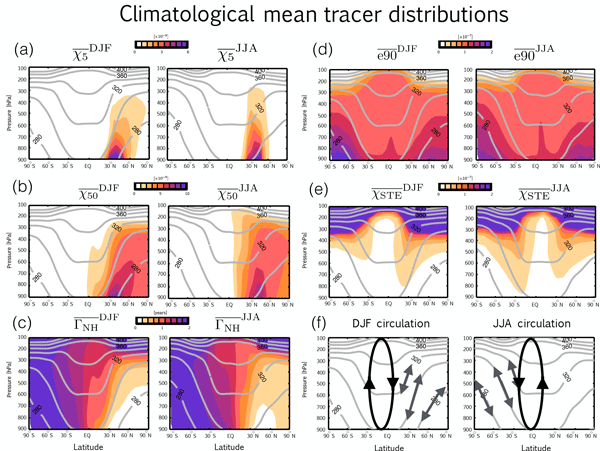 Nudging leads to comparable or even larger inter-model spread for most of the measures of the mean climatological stratospheric RC compared to their free-running counterparts. Nevertheless, the resolved waves in the nudged runs modulate the remarkably similar inter-annual variability of the tropical upward mass flux in the lower stratosphere. Climate models robustly project a Brewer-Dobson circulation (BDC) acceleration in the course of climate change. 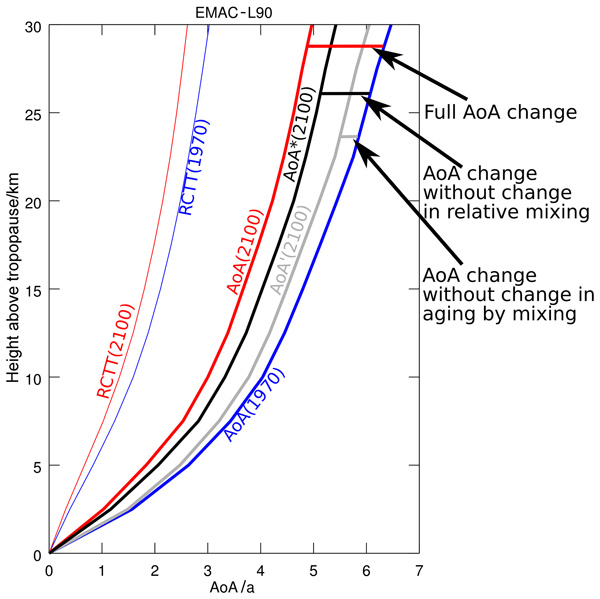 Analysing mean age of stratospheric air (AoA) from a subset of climate projection simulations, we find a remarkable agreement in simulating the largest AoA trends in the extratropical stratosphere. This is shown to be related with the upward shift of the circulation resulting in a so-called stratospheric shrinkage, which could be one of the so-far omitted BDC acceleration drivers. 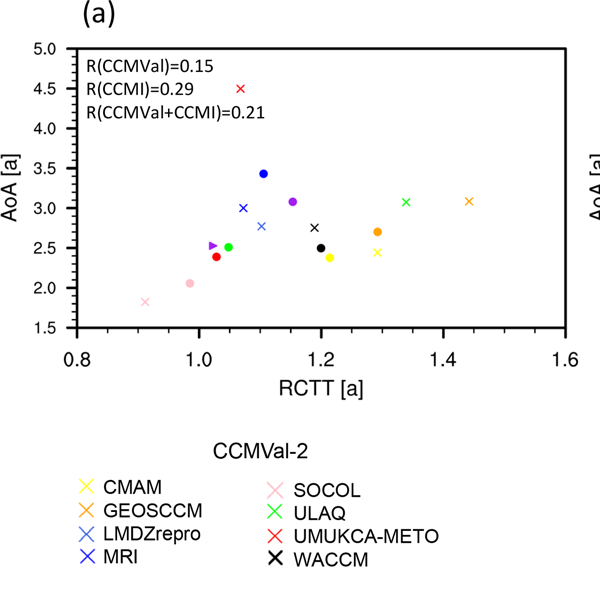 Global models such as those participating in the Chemistry-Climate Model Initiative (CCMI) consistently simulate biases in tropospheric ozone compared with observations. We performed an advanced statistical analysis with one of the CCMI models to understand the cause of the bias. We found that emissions of ozone precursor gases are the dominant driver of the bias, implying either that the emissions are too large, or that the way in which the model handles emissions needs to be improved. The co-occurrence of heat waves and pollution events and the resulting high mortality rates emphasize the importance of the co-occurrence of pollution and temperature extremes. 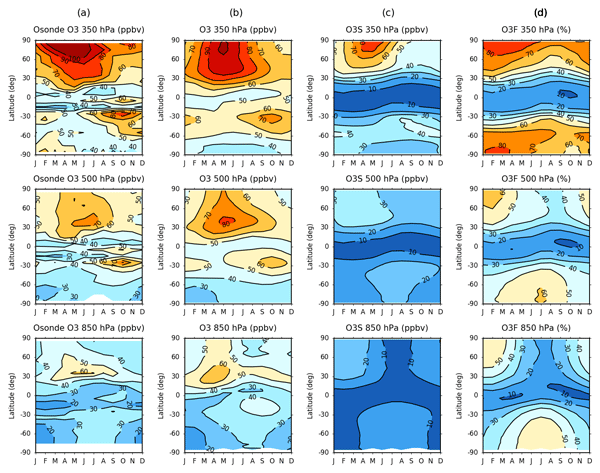 We analyze ozone and temperature extremes and their joint occurrence over the United States during the summer months (JJA) in measurement data and in model simulations of the present and future climates. Atmospheric aerosols can be affected not only by emissions, but also meteorology, in particular precipitation. 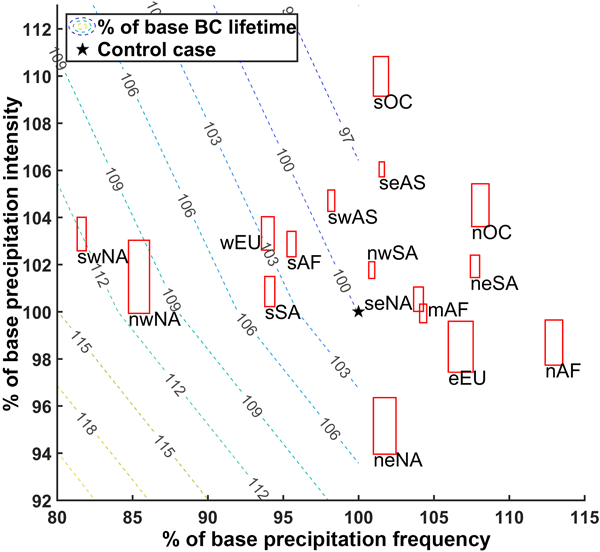 Analyses of the historical meteorological data based on multiple datasets show significant changes in precipitation characteristics, including precipitation intensity and frequency, over various regions around the world. We find that the precipitation changes over the past 30 years can easily lead to perturbations in atmospheric aerosols by 10 % or higher at the regional scale. 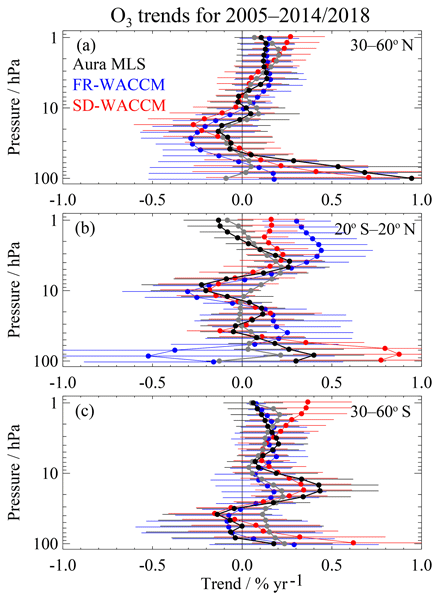 We describe the construction of a continuous 38-year record of stratospheric aerosol optical properties. The Global Space-based Stratospheric Aerosol Climatology, or GloSSAC, provided the input data to the construction of the Climate Model Intercomparison Project stratospheric aerosol forcing data set (1979 to 2014) and is now extended through 2016. GloSSAC focuses on the the SAGE series of instruments through mid-2005 and on OSIRIS and CALIPSO after that time. We assess how ozone as simulated by a group of chemistry–climate models responds to variations in man-made climate gases and ozone-depleting substances. We find some agreement, particularly in the middle and upper stratosphere, but also considerable disagreement elsewhere. 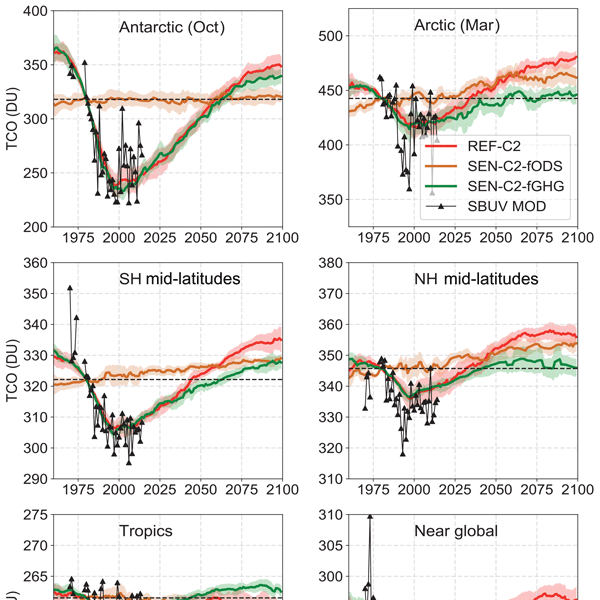 Such disagreement affects the reliability of future ozone projections based on these models, and also constitutes a source of uncertainty in climate projections using prescribed ozone derived from these simulations. Compiling stratospheric aerosol data sets after a major volcanic eruption is difficult as the stratosphere becomes too optically opaque for satellite instruments to measure accurately. 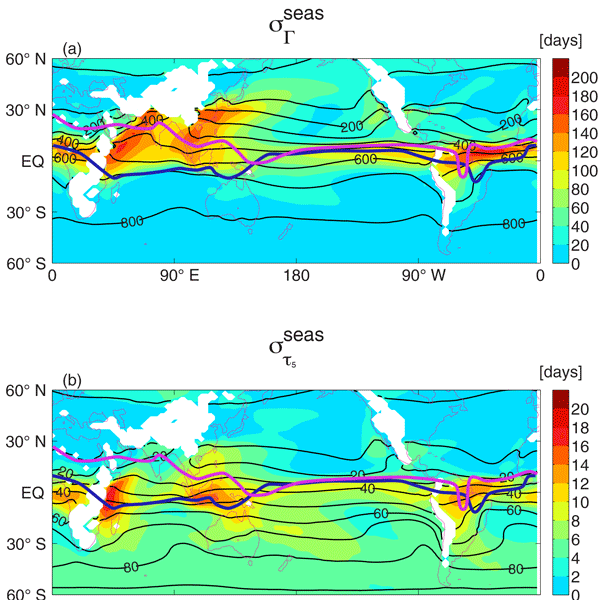 We performed ensemble chemistry–climate model simulations with two stratospheric aerosol data sets compiled for two international modelling activities and compared the simulated volcanic aerosol-induced effects from the 1991 Mt Pinatubo eruption on tropical stratospheric temperature and ozone with observations. US ozone pollution responds to varying global-to-regional precursor emissions and climate, with implications for designing effective air quality control policies. Asian anthropogenic emissions of ozone precursors tripled since 1990, contributing 65 % to western US ozone increases in spring, outpacing ozone decreases attained via 50 % US emission controls. In the eastern US, if emissions had not declined, more frequent hot extremes since 1990 would have worsened the highest ozone events in summer.